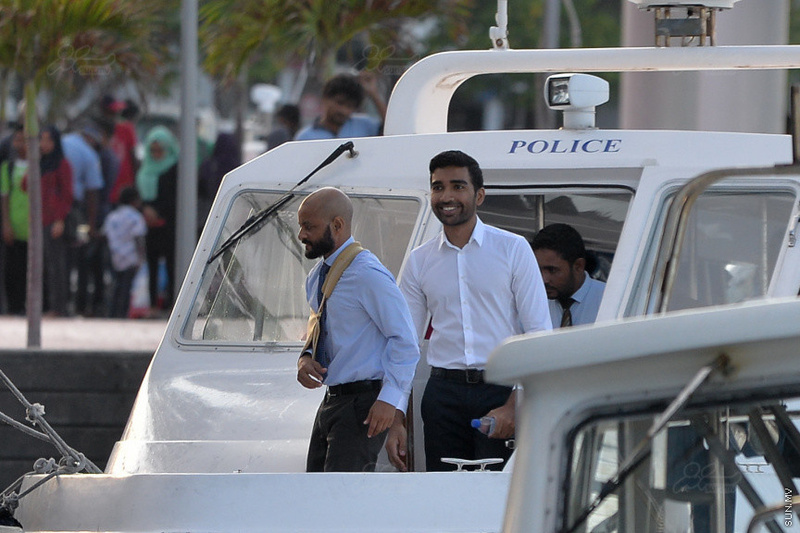 Criminal Court has ordered the release of Siyad Qasim, the son, of the Jumhoory Party Leader, Qasim Ibrahim. At a hearing in the case of the bribery charge against Siyadh held at the Criminal Court today, the court released him on set conditions. Siyadh was charged with bribery in suspicion of paying USD 2.4 million to buy expensive private apartments in Malaysia under the names family members of then Chief Justice, Abdulla Saeed and Supreme Court Judge Ali Hameed when Siyadh was the Managing Director of Villa Company. The biggest evidence agaist Siyadh is a letter signed by him to make the payment. However the state has yet to receive that letter. Today, defence attorney, Noorusalam Abubakuru said that the trial is being dragged out without the state's biggest article of evidence being presented at the court and requested the released of his client from detention. And the prosecution requested that Siyadh be released to house arrest. The defence attorney requested to give the lightest punishment since Siyadh is a businessman at a high position at VIlla. Judge Hailam made the decision to release Siyadh on the three conditions of staying in Male' City, informing before changing the address and phone numbers and receiving the notes sent by the court. Siyadh Qasim was released today after five months and 13 days in jail after pleading not guilty. If convicted, he would face a sentence of three years, two months and 12 days.